(Applause Books). Stella Adler was one of the 20th Century's greatest figures. She is arguably the most important teacher of acting in American history. Over her long career, both in New York and Hollywood, she offered her vast acting knowledge to generations of actors, including Marlon Brando, Warren Beatty, and Robert De Niro. 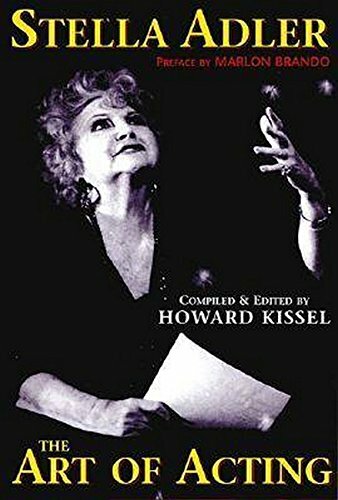 The great voice finally ended in the early Nineties, but her decades of experience and teaching have been brilliantly caught and encapsulated by Howard Kissel in the twenty-two lessons in this book.